Snapchat, Instagram’s direct rival is struggling to meet targets while Instagram is going much stronger and has proudly announced a brand new feature. For fans who are fond of stories, there is now one more way to express themselves with new Type Mode. Instagram Stories is a popular feature among users and has millions of followers which keeps the app going strong despite the slowdown in app adoptions in the mobile scenario. Users will now be able to come up with creative quotes and post them on their timeline. The good news is they don’t have to use a photo or video but a simple stylized text should get the job done. In the official blog, Instagram made the announcement in style. They posted a bunch of text images that had some vibrantly beautiful backgrounds and cool font styles to go with. When you are planning to add a video or post to your stories, you can now go with text content instead. The Type mode will be placed at the bottom of the screen right next to the Normal mode and will be readily accessible. Just tap on the Type mode and it will immediately open a bunch of options to choose from. With all major smartphones focusing on amazing camera quality, there has been a huge surge in the number of photos and videos people take. After saturating the market, all major sites including Facebook and Youtube have switched to providing an option for people to share things through text. 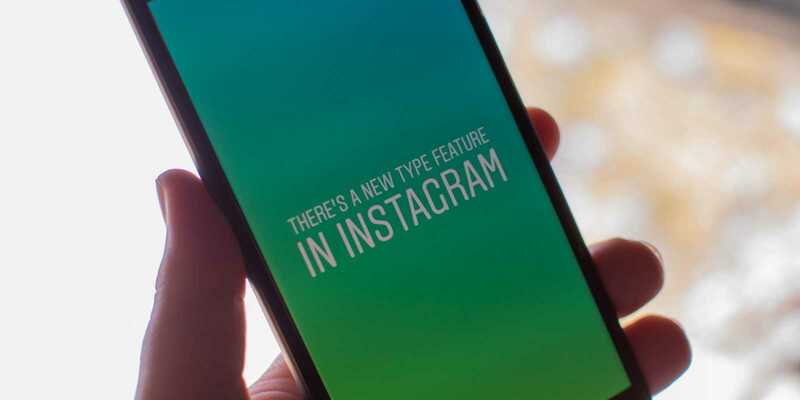 Instagram has now joined the lot and when you create a new text, you can choose the font, background color and highlight styles before posting it. Users can also choose to add these customized text messages over a photo or video but it is not compulsory. Adding a text over media content may not go well but posting individual texts does look good. The developer team has offered just four different font options to choose from which seems very less but it could be a starter. They might add more options in the near future. Similar to all the other stuff posted in Instagram stories, any text that you create using Type mode will automatically get deleted within 24 hours. The latest version of Instagram is now available on Google Play Store and if you download it, you should be able to make use of the text mode to share something new in your stories.